ROCKVILLE, Md. (CN) – New litigation from a man who appears to be Bradley Beal of the Washington Wizards accuses a Maryland landlord of confiscating Beal’s security deposit, and hitting him with a six-figure demand for property damage and unpaid rent, months after Beal became the highest-paid player in team history. Beal was the third pick in the 2012 NBA draft and signed a five-year, $127 million contract with the Wizards this past July. The 23-year-old star shooting guard appears to have sued his former landlord last week in Montgomery County Circuit Court. The crux of the case is a home at 6120 Rosemont Circle in Rockville, Maryland. Beal says his tenancy began in September 2015, when he paid a year’s worth of rent in full at $108,000. A listing on Long & Foster Real Estate for the property at 6120 Rosemont Circle, in Rockville, Md. Though he and landlord Rakesh Chopra did not renew the lease, Beal says it allowed him to remain in the house on a month-to-month basis. The Feb. 3 complaint says Beal received an invoice from Chopra on Oct. 16, 2016, for $114,225. This amount purportedly reflects two months of rent, hiked from $9,000 to $13,500, plus $87,225 worth of damage to the property. Accusing Chopra of having “fabricated the purported damages,” Beal notes that his landlord never accused him of failing to perform maintenance, and that he had a professional service clean the property before he moved out. “Based upon an inspection of the property upon Beal’s departure, there were no damages to the Property that exceeded normal wear and tear,” the complaint states. Meanwhile Chopra allegedly denied Beal his right for a walk-through of the property before he moved out, and Beal’s $50,000 security deposit remains unaccounted for. Beal says Chopra hit him with various extra charges when he moved in as well. The initial figure cited to Beal for rent was $8,225, according to the complaint, and the initial security deposit was $12,000. The damage charges that Beal disputes include $1,500 for “outside waterfall cleanup” and $48,000 for flooring refinishing, according to the complaint. “Landlord provided no information about why the waterfall needed to be cleaned (it did not),” the complaint states (parentheses in original). Beal seeks $656,000 in compensatory and punitive damages for violations of Maryland property law and intentional misrepresentation. The 14-page complaint does not explicitly identify Beal as the NBA player, but signatures on a document attached to the complaint appear to match those on signed memorabilia being sold online. 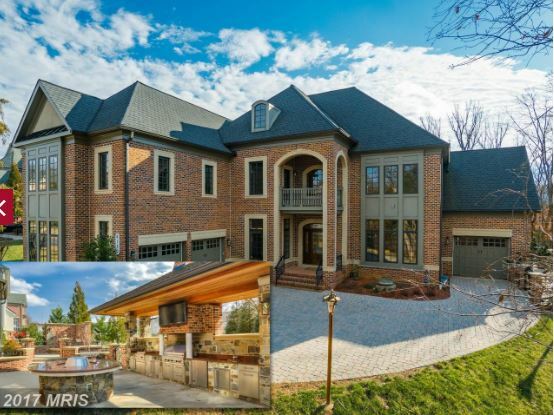 The Beal listed as the plaintiff in the complaint is a resident of McLean, Virginia, the same town where the player now owns a $3.2 million mansion. 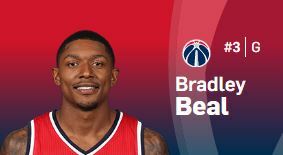 No other Bradley Beal is listed in the McLean white pages. The Rockville home at the center of Beal’s lawsuit is listed for sale. Long & Foster, an exclusive affiliate of Christie’s International Real Estate, is asking $2.195 million. Glenn Etelson, an attorney at Shulman Rogers who filed the landlord-tenant case, has not returned a phone call seeking comment or confirmation about his client’s line of work.